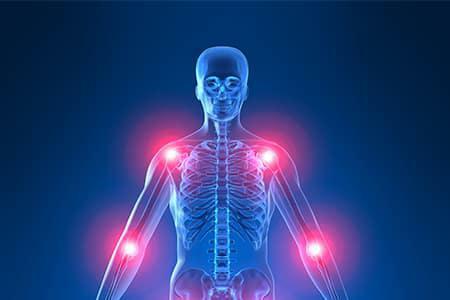 Arm and shoulder regenerative pain treatment, now available in Scottsdale. Can be terribly irritating and interfere with motion and concentration. It can be caused by arm strain due to lifting heavy loads, it can be the result of joint stress or a rotator cuff injury, and it can be something as simple as sleeping in a position that causes you to strain or pinch your arm at night. Arm and shoulder regenerative pain treatment, now available in Scottsdale has the newest minimly invasive procedures. In addition to the arm pain, you might experience swelling or stiffness. What can you do to alleviate your arm pain and other symptoms without having to resort to powerful synthetic drugs? First, just rest and refrain from any activity that might stress and further strain your arm for at least a couple of days. If you are not sure which activities are straining your arm like that, err on the side of caution-don’t If you are not sure which activities are straining your arm like that, err on the side of caution-don’t worry about being “lazy.” Any activity that you suspect simply cut out for at least a couple of days. You can also try to apply ice to the sore area of your arm. Use an ice pack or simply wrap ice cubes in a towel and apply that. You should especially do this if you experience swelling in your arm. You should use the ice for 15 or 20 minutes at a time, at least three times per day. For the first two days that you are doing this, don’t do or ingest anything that could cause or aggravate inflammation-hot showers, drinking alcoholic beverages, drinking coffee, etc. Some of the things you should avoid for these two days might be a regular part of your daily life, but you can go for 48 hours without them. You should also not smoke for the duration of the time that your arm is in pain. After this period, assuming the swelling is down, you can start applying heat to your arm pain, such as heat pack. You can also begin doing easy exercises to get your arm’s tendons and muscles stronger again so that you prevent future injury. Don’t forget to remove all of the jewelry on that arm and that arm’s hand if you experience swelling, so that you minimize the chance of strangling or diminishing blood flow. If swelling continues, try wrapping your arm in a compression bandage. If you experience tingling, or your fingertips get very cold, the bandage is too tight, and you need to loosen it. Keep it on for up to three days and see if your swelling goes down call the experts at Premier Pain Institute for a consultation so we can get you back on track with a pain-free lifestyle.